What a statement this black pearl collar necklace makes, whether worn with a cami, t-shirt or evening gown! Striking, dramatic and simply sensational, our Drama of Jet Necklace is quite literally a style chameleon. Featuring deepest black pearls and shimmering jet Austrian crystals accents, this is a piece that is to become your go-to accessory for every special occasion. 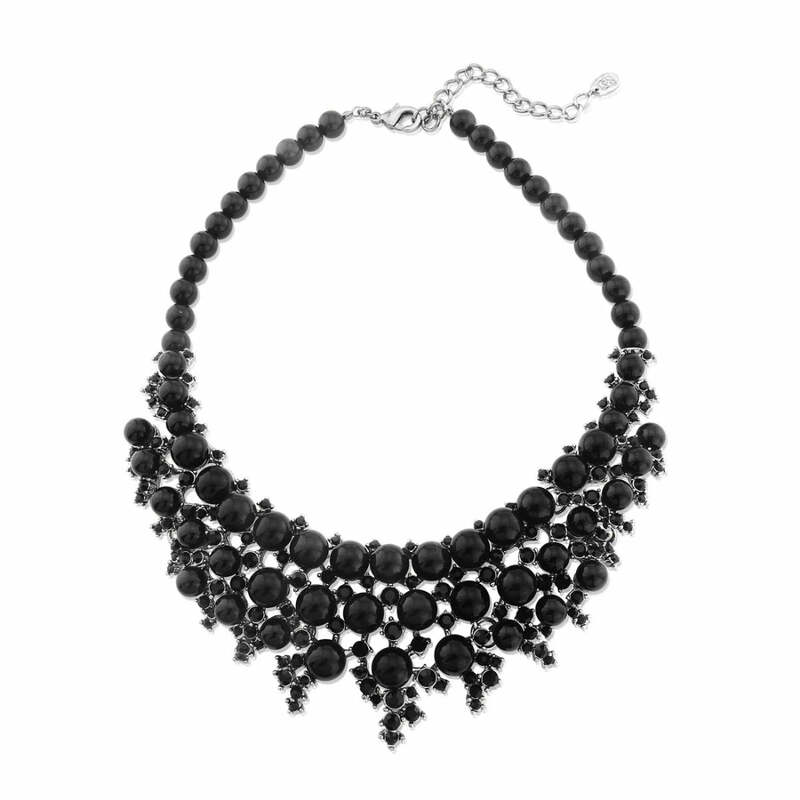 Worn with a chic evening gown, this stunning black statement necklace creates a look worthy of a 1940s Old Hollywood starlet. Teamed a vest top and leather skinny trousers, it's sure to unleash your inner rock chic. With a simple white tee and jeans, it instantly adds uber chic style perfect for any daytime event. With such versatility, this is a piece that will capture the hearts of so many ages and styles. For fabulously on-trend style, keep other accessories to a minimum and let Drama of Jet Necklace take centre stage!